Coiste ScÃ³r elect new team. 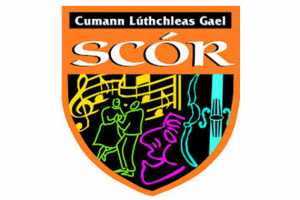 County Board Cathaorleach Ger Lane launched the 2015/16 Coiste ScÃ³r ChorcaÃ­ programme at its AGM in the Ãire Ãg GAA Pavilion, Ovens, last night. Tributes were paid to outgoing Cathaiorleach Pat Malone who stepped down after 18 years, replaced by Tony McAulliffe from the Lismire club. Upcoming event: Coiste ScÃ³r ChorcaÃ­ Final of ScÃ³r na nÃg goes ahead in Coachford on Sunday, November 22nd at 2.00pm.